Nikon has announced that the total production of Nikkor interchangeable lenses has reached 65 million. The first Nikkor lenses were released in 1959 at the same time as its first SLR camera, the Nikon F. Lenses released at the time included the Nikkor-S Auto 5cm f/2. Back in March, Nikon announced it had passed the 60 million mark, meaning that 5 million lenses have been produced in little over 6 months, a pretty impressive figure considering the impact of the Japanese earthquake and tsunami in March. 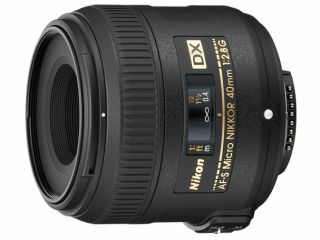 Since the 60m announcement in March, two new lenses have been released for both FX (full frame) and DX (APS-C sized) cameras, the AF-S Nikkor 50mm f/1.8G and the AF-S DX Micro Nikkor 40mm f/2.8G. The new Nikon compact system cameras (or Advanced Camera with Interchangeable Lenses, to use Nikon's own terminology), the Nikon V1 and J1 were launched in September featuring a brand new 1 mount. Nikkor F-mount lenses can however be attached using an FT1 Mount Adapter. On the official Nikon website, the company says that it will "continue to expand its lineup of Nikkor lenses utilising optical technologies accumulated over its long history to offer increased convenience to users of Nikon cameras."